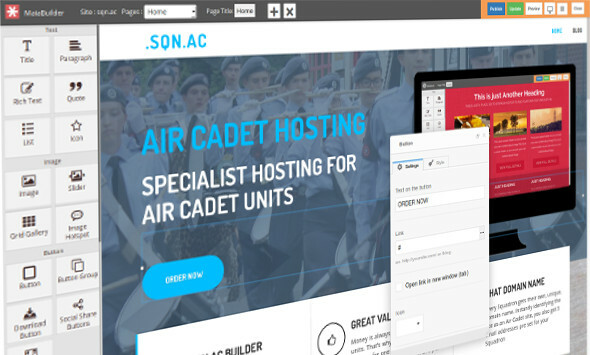 Build a website for your Air Cadet Squadron using our easy website builder tool. Drag and Drop your content and publish with one click. Your website is your website! Build a professional websites using our Easy to Use Editor and Publish static web pages, with over 260 Responsive Themes to choose from. Just choose the theme you like, upload your pictures, edit the text, drag your widgets around and click Publish! It’s that simple. Your website is hosted on our servers and belongs to you. No big faceless company to tend with and your data is your data. You website is your website. Published in flat HTML code there’s no database to slow things down, you site will load super fast! Every site comes with a free .sqn.ac domain name. Your website will be recognisable instantly. 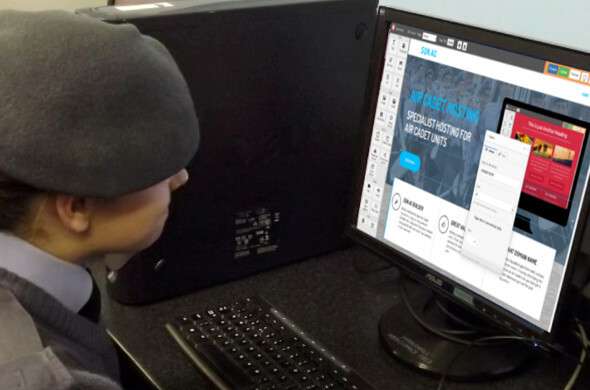 With our easy-to-use online editor you can build the website you’ve always wanted. Flexible,powerful and ready to go.